Criminal law matters relating to a young person, defined as aged twelve through seventeen, are dealt with via the Youth Criminal Justice Act of Canada which outlines a different set of procedures and punishments for Canadian youth, than those applicable to Canadian adults. Provides alternative measures, which will enable the youth to move forward in life without a criminal conviction. 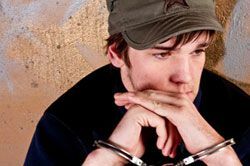 In more extreme cases, depending on the gravity of the situation, a youth may be treated as an adult for sentencing and other legal purposes. If your son, daughter or dependant has been charged with a criminal offence and is between the ages of twelve and seventeen, Raj Napal and NLC Lawyers can help. Contact us today for a private consultation. NLC Lawyers is a law firm based in Brampton, Ontario. We have some of the best young offenders lawyers serving across the Greater Toronto Area including Brampton, Orangeville, Fergus, Arthur, Guelph, Milton, Mississauga, Ajax, Hamilton, Markham, Scarborough, Toronto and surrounding areas.